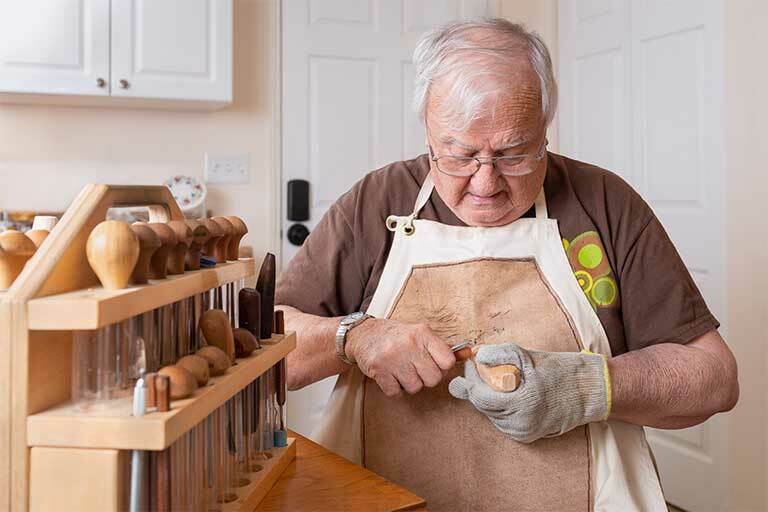 Bill, who has been carving for 15 years, accidentally stumbled into his passion at a state fair. He walked up to the Chattanooga Wood Carvers Club booth and struck up a simple conversation that would lead him into his passion. Bill began to attend the group's meetings and purchased books about carving. In the last 15 years, he has been to several different wood carving schools and has even spent time in Austria at a carving workshop. "I carve mostly caricatures,” said Bill. "They each have a story, and sometimes it's hard to let go of them.” His apartment at The Bridge is filled with his handiwork. Some for sale, but many that he is too attached to part with. Bill has recently started working on his Christmas carvings. Each one starts as a "rough out,” which is a piece of bass wood that already has some design shape to it. Then it is up to Bill to carve a personality into each piece. 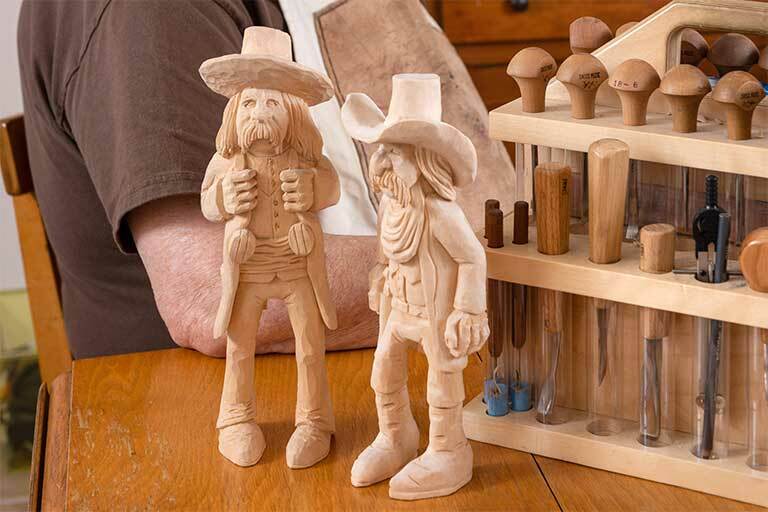 "My cowboys always have big guts and a huge buckle,” noted Bill as he talked about the personality he tries to craft into every carving. For Bill, carving is more than a hobby. It has become a creative outlet and also has given him purpose. 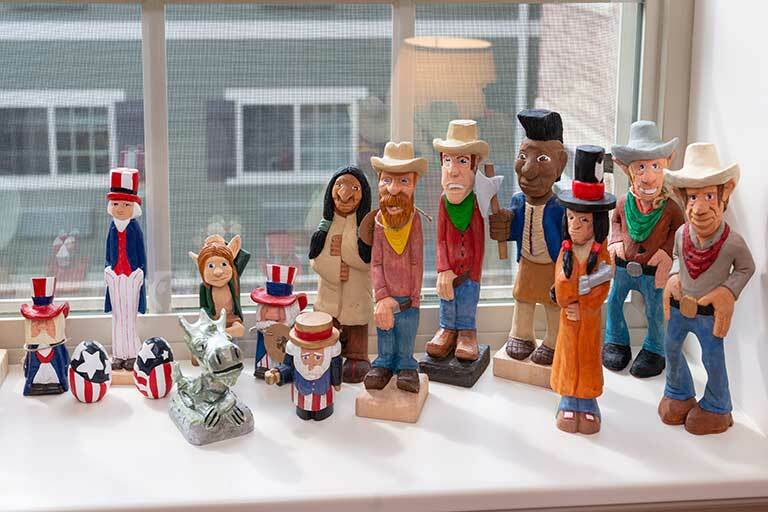 At The Bridge, his carvings have begun to touch residents and make an impact in every home they enter by allowing residents to fabricate their own stories about each caricature they purchase. 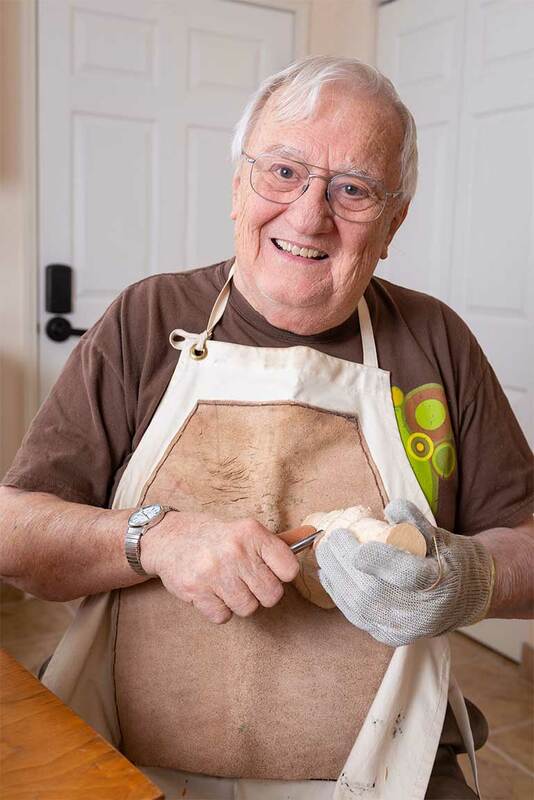 Bill recently hosted a "Show and Tell” event at The Bridge where he talked about his carving process with fellow residents. Bill will be selling his carvings again at The Bridge's Fall Festival on Friday, October 19 from 1-4 p.m.